Yesterday, while I was clearing a table at work, a customer approached me and, with a disapproving look, told me that I should pull up my trousers because I was, in her words, “showing a little too much”. 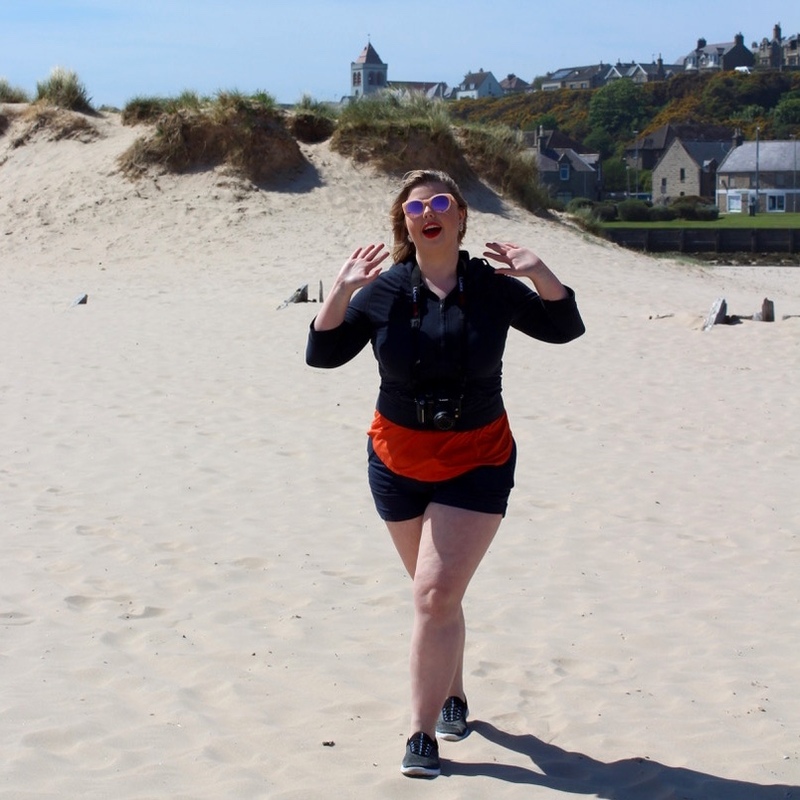 I did as I was told, and for a moment, I was embarrassed before I remembered that the reason I was looking a little indecent was because I had lost enough weight to warrant my skinny black trousers going slack around my hips. As of today, I have officially been eating and living according to the 2B Mindset method for three weeks, and since it’s made me lose enough weight to put me in this somewhat humiliating situation, I’d say that it’s working pretty well so far. I’ve never been slim. I’ve never been good at exercising or eating vegetables or drinking water, and I’ve never been overly happy with my appearance as a result of these things. So, my mum and I decided to make a change together, to re-evaluate our lifestyles and spur each other on with our fresh new outlooks on food and eating. When I was first measured, I weighed in at 14st 11lb, which was about a stone more than I had estimated beforehand, having not weighed myself in at least a year. Ignorance is bliss, after all. I also found out that my body fat percentage was sitting at 29.4, and in order to achieve a healthy weight, I had to reduce it to below 22 (if my memory serves me correctly). I may not be able to calculate my body fat content right now, but I do know that, when I stood on the scales this morning, I weighed in at 14st 2lb, a difference of 9lb in just 21 days. While this has fluctuated here and there, my weight has certainly been on the decrease. It was even as low as 14st 1lb at one point. I’m so close to being below 14st, I can almost taste it! As a disclaimer, I should point out that some of that weight loss might not have been intentional since I came down with some sort of stomach bug last week, nothing serious but enough to make sure that I was a little paranoid about what I was putting in my mouth for about four days straight. However, I was told at the outset of my 2B Mindset journey that I would see weight start to melt off me with a new diet centred around eating mostly vegetables and drinking large amounts of water throughout the day (difficult on work days when you’re constantly having to dash to the bathroom, but hey ho), and I’m definitely seeing a difference, and not just in how my body looks, but also in little things like how much healthier my skin looks and how much more alert I feel. I’ll happily admit that there are parts of this lifestyle change that I have not been able to keep up with. The tracking of every single thing that you eat, for example, or meeting my water quota every day. But I have been happy to discover that a diet that involves mostly vegetables has not been as boring and bland as I expected it to be. Vegetables are incredibly versatile foods, and it has been interesting to try out new dishes and experiment with different combinations and flavours. The downside of this? Eating healthily costs A LOT, something which is not as big a deal to me now that I am living with my folks once again as opposed to living alone on a student budget, but which still freaks me out just a little bit. It’s no wonder that people choose to eat unhealthily when junk food is addictive, cheap, and easy to make. But that’s a topic for another day. I’m coming for you, Jamie Oliver. The Shakeology powder is helping a great deal as well with this lifestyle shift. My biggest problems when it came to food were snacking, too much sugar, and not enough water, and giving up snacking in the evenings was initially incredibly difficult. 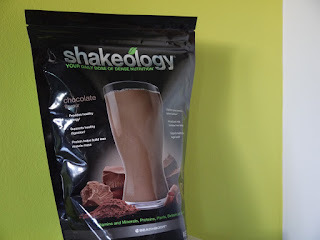 But drinking protein shakes in the evenings made up of chocolate Shakeology powder, coconut milk, a banana and a few cubes of ice helps to curb my cravings, meaning that I don’t (often) snack in the evenings anymore, and that dinner generally marks the end of that day’s calorific intake. However, 2B Mindset is not about all veg and no treats. A treat every now and then doesn’t do much harm when the rest of your diet is so filling and healthy, so for someone such as myself who has an insatiable sweet tooth, that is a welcome relief. Now, excuse me while I finish the rest of my ‘congratulations on your 2:1’ chocolates, and then complain in the morning when I realise that I’ve put two pounds back on!